Global Maritime Consultancy & Engineering, a provider of marine warranty, dynamic positioning and engineering services to the offshore sector, has successfully led the disconnection and towing operations of the Njord A semi-submersible floating production platform from the Njord field. 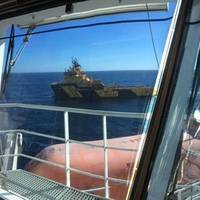 The Njord A platform arrived safely in Klosterfjorden on the August 23, where a handover to Kværner was achieved. The 346 nautical-mile journey was carried out by Global Maritime, on behalf of the operator Statoil. 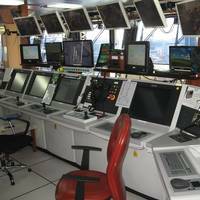 Global Maritime Consultancy & Engineering has introduced a new set of policies and procedures to support its Dynamic Positioning (DP) activities. The new procedures will ensure continued excellence and consistency across all Global Maritime’s global DP operations. The document will cover general working practices and core competencies as well as working procedures relating to DP Systems Audits & Verifications; Failure Mode and Effect Analysis (FMEA), attendance at DP trials, and the development of other DP documentation. Global Maritime Consultancy & Engineering has signed a contract with leading offshore wind developer Deepwater Wind to provide marine warranty services for the Block Island Wind Farm, America’s first offshore wind farm. Services that will be provided include a technical review of all installation procedures and calculations; the survey and inspection of installation vessels; the witnessing of the installation of turbines and subsea cables; and the issuing of Certificates of Approval. Noble Denton Group has joined an elite group of British businesses as it secured 59th place in this year’s Sunday Times Deloitte Buyout Track 100 list. Now in its second year, the prestigious league table ranks Britain’s top 100 private equity-backed mid-market companies with the fastest growing profits (EBITDA) over two years. The research analyses the profit performance of private equity-backed companies, rather than just the buyout deals. Noble Denton is one of 12 energy firms on the list and achieved 39.9% annual profit growth in 2006. The company joined forces with two Norwegian private equity firms, HitecVision and Ferncliff TIH in the same year.